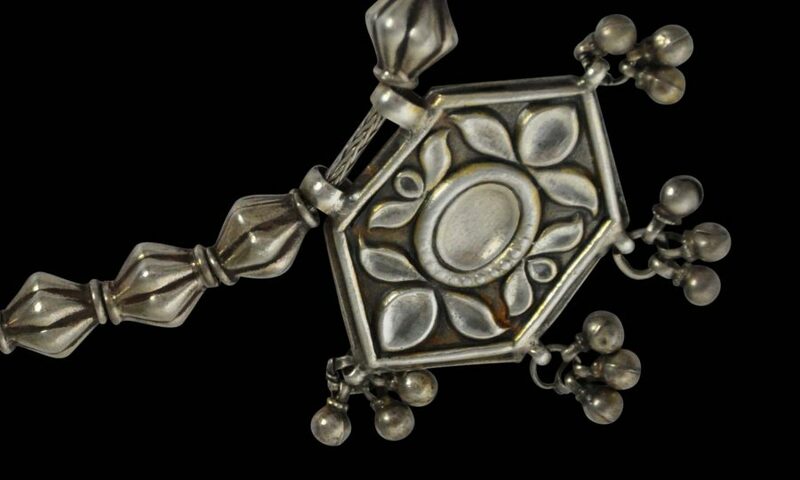 This beautiful silver necklace is from the estate of the renown Indian jewellery expert Oppi Untracht. It is also published in his seminal book Traditional Jewelry of India on page 233. It is from Delhi and demonstrates the Mughal practice of fashioning silver ornaments with highly-polished, concave oval and other forms to emulate large, flat-cut diamonds. 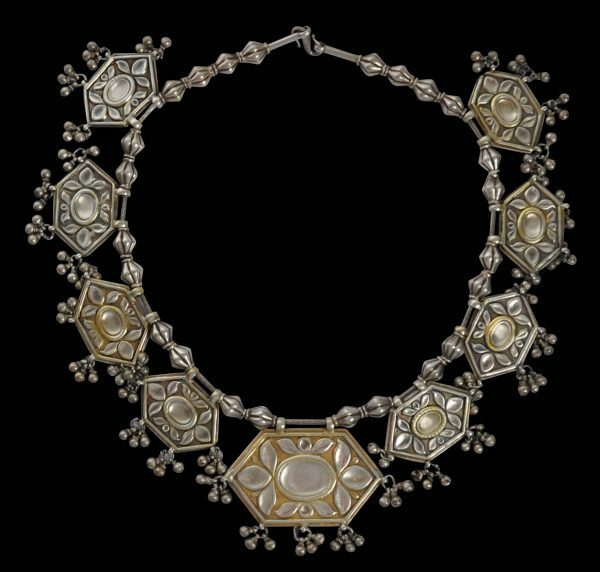 It comprises nine hexagonal units of thick silver that have been parcel-gilded (gold-plated) and decorated with faux-diamond patterns. Hollow silver spheres are suspended in clusters from each plate. 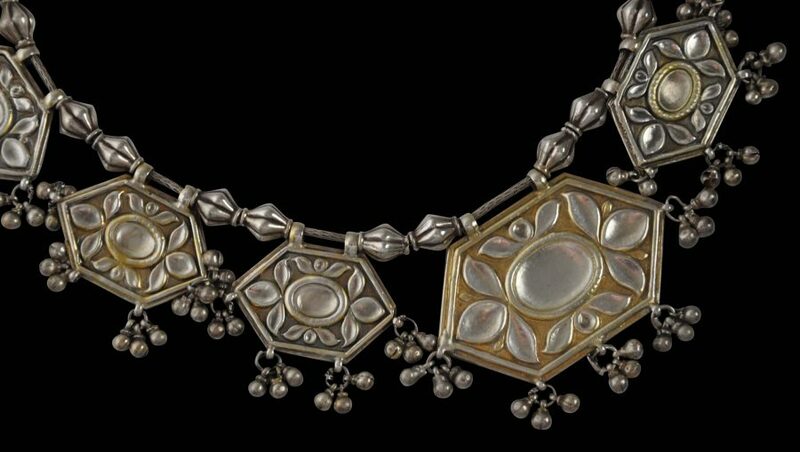 The necklace itself is threaded onto a woven silver cord and the plates are separated by melon-shaped spacing beads. It would have been worn by local, well-to-do Muslim ladies. Overall, this is an impressive and wearable necklace. Untracht, O., Traditional Jewelry of India, Thames & Hudson, 1997 – page 233.